 Log In needed FREE: Wood. Fence panels, 4x4 posts, ties, and more. 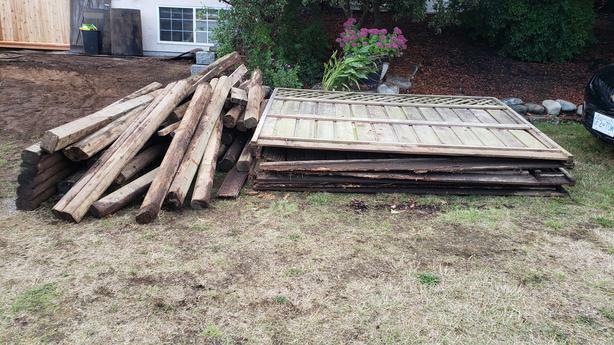 FREE: Fence panels, 4x4 posts, ties, a gate, and more. Lots but must take all. You get some great solid pieces, some good pieces, some okay piece's and some rotten piece. But you have to take all of it. The bottoms of the fence panels and 4x4s were in dirt so the bottoms are rotten. Most of the ties are totally solid. They all still have nails. It's free as long as it all goes. Don't know how many of anything so come take a look.